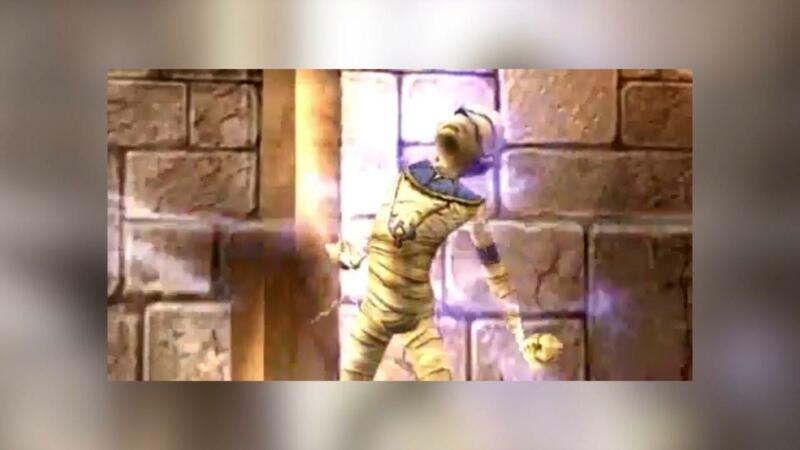 A release I didn't actually cover was Sphinx and the Cursed Mummy [GOG, Steam], the revamp of the 2003 3rd person action-adventure game. Since release, it's had a lot of patches to keep improving it and now they've even released their official mod tools. A few days ago, the developers officially announced the release of their "Authoring Tools" enabling players to create their own mods and storylines. It's the same toolset originally used to make the game and it comes with source assets too for maps, characters and so on. Currently these tools seem to only be on Steam, but it doesn't seem to use Steam Workshop, so stuff made with it should work with the GOG version. Disclosure: Key provided by GOG. GOG links are affiliate links. Since the release, or should I say re-release? They've put out around 24 patches to fix bugs, improve gameplay features and so on. The post-release support this revamp has seen is really quite amazing. Most recently, they've updated the game with: dynamic lights, better gamepad support, translation improvements and they now let you adjust the size of the text in the dialog/cutscene/help windows. Adjusting that text is a manual process though, requiring you to edit the Sphinx.ini file to find the "TextHudObjScaling" setting. I've tested the Linux version out and it does work really nicely now, it did initially have a few troubles, but the developer actually said they managed to fix a lot of the Linux issues "thanks to the help of the GOG Linux team"—awesome! From what the developer said while working on the game, they even tested it across both the proprietary NVIDIA driver and radeonsi/amdgpu on an AMD card, which is really good to see. As a reminder, if you grab games from GOG and you have a Steam Controller, you will want to use SC Controller to have it picked up properly. You can grab it now on GOG and Steam. Fantastic that THQ Nordic revamp older titles and add Linux support to them, good stuff! instant buy for me on GOG because : " the developer actually said they managed to fix a lot of the Linux issues "thanks to the help of the GOG Linux team""
I picked this game the day it was released on GOG, the devs did well in bringing it up to speed with modern OS's. During my entire playthrough I encountered very little technical issues but nothing game breaking. Gameplay wise it can be challenging sometimes but it's not overly done so you won't have to smash your keyboard. Also the game is a bit of an open world and you open new areas by progressing through the story. Highly recommend it. legluondunet instant buy for me on GOG because : " the developer actually said they managed to fix a lot of the Linux issues "thanks to the help of the GOG Linux team""
Thanks for your work - whatever it might secretly include. Which engine is used? Is this a Unity-title with integrated telemetry or a real port to Linux without those unneeded integrals? throgh Which engine is used? Is this a Unity-title with integrated telemetry or a real port to Linux without those unneeded integrals? Thanks for the feedback: I've bought the game and it is not working on a system with Intel Ivybridge as graphics interface. The support itself shows the "normal" feedback for not willing to help with real open and libre drivers on an derivate of Arch Linux. That was my last action in combination with GOG as a real unfriendly help for Linux! No need for more proprietary hardware working out for this game.